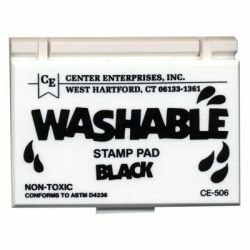 Non-toxic, child-safe Ink. Unscented. Stamp pads measure 2 1/4" x 3 3/4".